Most people say not to judge a book by its cover. Unfortunately, I can’t help myself from doing so. If the cover doesn’t grab me from the start, I won’t bother looking at it. With Regina Shen: Resilience, this was not a problem. The cover art was very dark, but beautifully executed. Regina Shen holding the crossbow on the front cover was stunning; I was immediately intrigued by the book. Some authors have trouble putting new worlds into words, but that was not the case for Lance Erlick. The author’s descriptions were well-written, resulting in me fully understanding the world. The main character, Regina, was likable from the start. She loved to learn and was an amazing survivor. I felt that I could relate well to her, even though we both live in completely different worlds. My only wish was that the story was longer. At just over 200 pages, it was a quick read for me. Overall, the author did an amazing job, and if you like post-apocalyptic novels about survival, this is definitely the book for you. 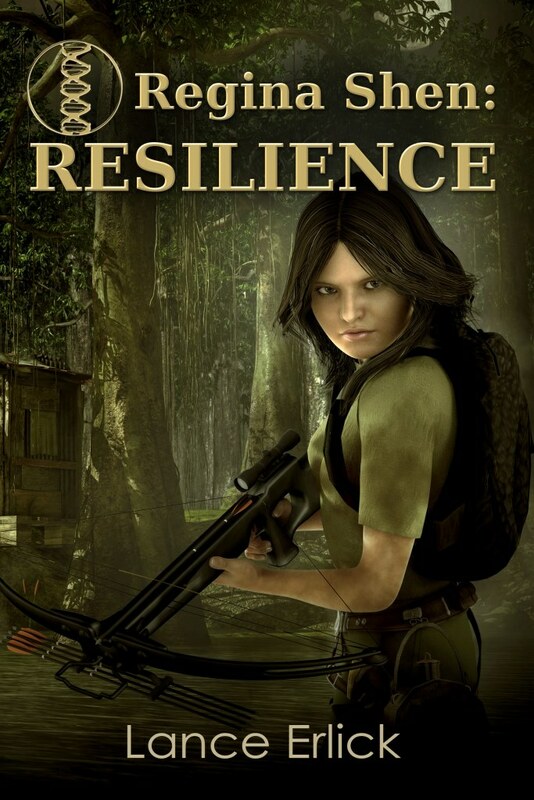 Regina Shen: Resilience is available for pre-order on Amazon. This entry was posted in Regina Shen Series, Science Fiction, Stories, Thrillers and tagged abrupt climate change, dystopian, overcome adversity, review, young adult by flwq1578. Bookmark the permalink.